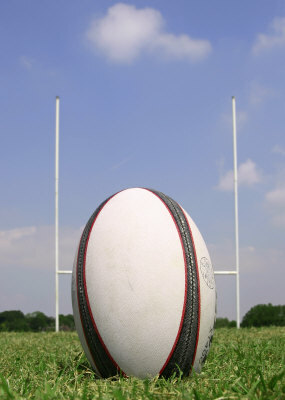 The weekend saw my son's Under 14 team round off a great season with a hard-fought 28-20 victory away at Tring. Sunday's win was the culmination of a hugely successful season for the boys, not just in terms of results (and yet the overall record of played 16, won thirteen, lost 3 - and victory at the Harrow 10s Festival - is not be sniffed at) but also in terms of just how well the boys have developed as players. This time last year I posted my guide to coaching youth rugby and at the start of this season being involved in the coaching of the team was still very much akin to trying to herd cats, but as the season has progressed there has been a noticeable shift in attitude, with several of the boys now displaying an impressive mental maturity that was previously absent. What is great to see is that often it is the boys themselves who are now working out what to do during a game rather than relying on instructions from the touchline, and on several occasions this season their sheer determination to defend their line has been a joy to behold. There is also a fantastic camaraderie developing amongst the boys which is wonderful to see and which, as I keep harping on about to TF Jnr, is really what this game of ours is all about.